Remember my trampoline? 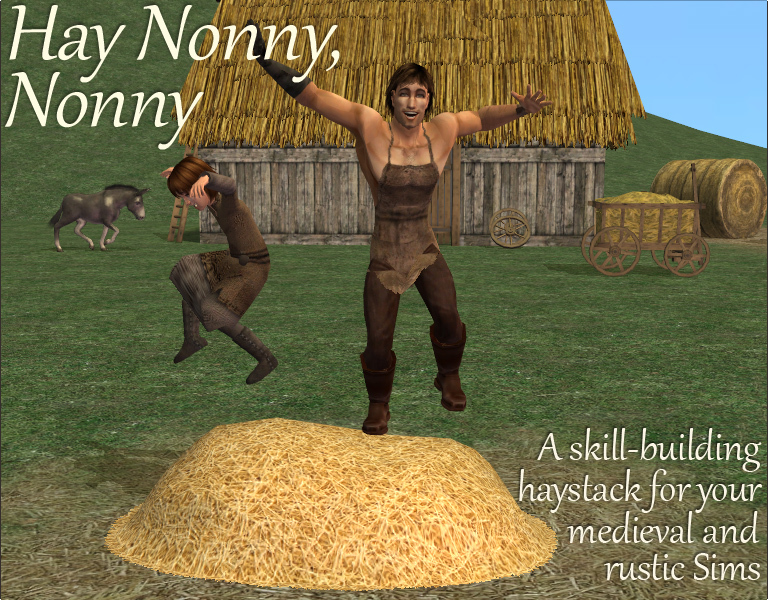 This is the haystack version, for your medieval and rustic Sims. Or Sims who just like to jump in the hay. @CatherineTCJD. I'm officially almost-back.The haystack is actually something I finished right before my hiatus, I just didn't get to write a witty post (well, a post, anyway) until now. But I should be back for real in another week or two. And I'm feeling better than I have in a very long time. This rehabilitation period was just what I needed to get back on track. So good to read that. Yah! Good to see you back around Nix. Love, love, love that haystack! Even though I am playing my modern hood right now, I'll be grabbing that one. @joandsarah, of course, modern Sims can jump in hay, too! Much cheaper than getting a trampoline. Yay! It's only $25, so hopefully he won't have to wait all that long. Depends on how successful a farmer he is, I guess. He's dirt poor, and he's only just bought a double bed - and when Bella moved in, she spent all the money she brought with her on clothes. And a bedroom. They have a wedding to pay for yet, so it might be a little while.